A version of the Harlem Shake performed by students at Brownsville High School last month continues to reverberate. Thirteen students at the Fayette County high school were given two-day suspensions in February for their involvement in filming a 29-second Harlem Shake video and posting it online, part of a popular song-and-dance craze that has swept through the Internet in recent weeks. Today, the American Civil Liberties Union of Pennsylvania and the National Coalition Against Censorship emailed a letter to Philip J. Savini Jr., Brownsville Area School District superintendent and Rocky Brashear, school board president, urging the district to revoke the suspensions and expunge the students’ records. Editor’s note: George has moved on up! EL PASO, Texas — George Jefferson was a bigot. A loudmouth. Rude. Obsessed with money. Arrogant. And yet he was one of the most enjoyable, beloved characters in television history. Much of that credit belongs to Sherman Hemsley, the gifted character actor who gave life to the blustering black Harlem businessman on “The Jeffersons,” one of TV’s longest running and most successful sitcoms — particularly noteworthy with its mostly black cast. 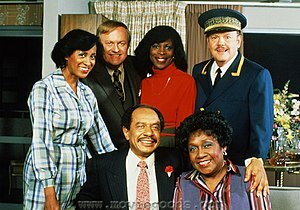 The Philadelphia-born Hemsley, who police said late Tuesday died at his home in El Paso, Texas, at age 74, first played George Jefferson on the CBS show “All in the Family” before he was spun off onto “The Jeffersons.” The sitcom ran for 11 seasons from 1975 to 1985. With the gospel-style theme song of “Movin’ On Up,” the hit show depicted the wealthy former neighbors of Archie and Edith Bunker in Queens as they made their way on New York’s Upper East Side. Hemsley and the Jeffersons (Isabel Sanford played his wife) often dealt with contemporary issues of racism, but more frequently reveled in the sitcom archetype of a short-tempered, opinionated patriarch trying, often unsuccessfully, to control his family. I had the pleasure of attending the Sunday matinée performance of Ain’t Misbehavin’ at Pottstown’s Tri-County Performing Arts Center yesterday afternoon. I must say it was one of the best things I have seen thus far at the TriPAC and the afternoon flew by! This production is being done in the smaller theatre on the third floor. There are no bad seats! The performance was sold out! I believe it was announced all three weekend performances sold out. My comment to you is, call now and see if any tickets are available for next weekend! Ain’t Misbehavin’ is a musical. In fact it is almost entirely sung. Although there is scarcely any dialogue, a story is told nonetheless! The cast of five actors is phenomenal and the musicians, who are also integral to this performance, are second to none! Our story takes place in Harlem in the 1930’s. Appropriately the entire cast is African-American as well as most of the musicians and the director. I must comment that the level of talent here is amazing! If you like the music of that era you will be beyond pleased with the high musical standards in this production. In addition to superb music, I laughed until I cried. The “looks”, “stage whispers” and innuendo are priceless. This production is nonstop singing and dancing and the cast barely broke a sweat. The ease of the performances and the level of confidence displayed by the actors and musicians is professional. Kudos to Director, Zuhairah McGill for her excellent leadership. A good Director is worth their weight in gold and Ms. McGill definitely falls into that category! There were three songs that I especially liked (I loved them all). Two were funny and one was very moving. When the Nylons Bloom and The Viper’s Drag were hysterical! Again, laughed until I cried. Black and Blue was one of those songs that run the gamut of emotion. It was a very sad song about the struggles of African-Americans during segregation. While the cast was singing, there were poignant pictures being displayed on the back wall of a segregated America. For Caucasians it is embarrassing and painful to watch, nevertheless “keeps it real” and reminds us how far we have come and how far we still have to go as a nation. I am old enough to remember segregation and remember the great turmoil and pain our nation went through before and after the Civil Rights Act was passed in 1964. Yet I didn’t feel preached at either. The point was made and we moved on. I give a huge shout out to all five actors: Denia Gibson, Mia Mbuy, Alexa Morefield, Marc Sherfield and Isiah Robinson. Alexa, Marc and Isiah are TriPAC veterans. Denia and Mia were in their first TriPAC production. Stellar cast! Mr. Sherfield got a golden ticket to Hollywood on American Idol this season! How impressive is that! I would say that validates my comments on the talent level. Evidently Randy, Jennifer and Steven would agree, at least on 1/5th of the cast! You are all stars! Another huge shout out goes to the orchestra! Ben Bullock’s piano skills are nothing short of amazing. Ben is the Minister of Music at Invictus Church and I am sure they are thrilled to have him there! The amount of playing is almost nonstop. Other than the intermission the production is two hours of music! I was very pleased to see Louis Rieger in the orchestra on string bass. Mr. Rieger owns the High Street Music Company and I applaud his community involvement! Louis has “mad skills” on the string bass and I thank him for sharing his considerable talent in this production. Mr. Rieger walks the talk! We like that here at Roy’s Rants! Mega kudos to orchestra members: Lewis Ben on drums, Aaron Gould on trombone and Barb Newberry on reeds. Great job all around! The production staff did an excellent job as well. Everything went off without a hitch and it was a professional production all the way around. One more shout out to the Red Hat Society who showed up in a big group. I give this production two Roy’s Rants thumbs up. If had more thumbs they would all be up! There are three more performances left: Friday, February 17th, Saturday, February 18th and Sunday, February 19th. Groups of ten or more receive a $2.00 per ticket discount! 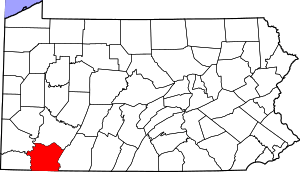 The Tri-County Performing Arts Center is located at 245 E. High Street, Pottstown, PA.